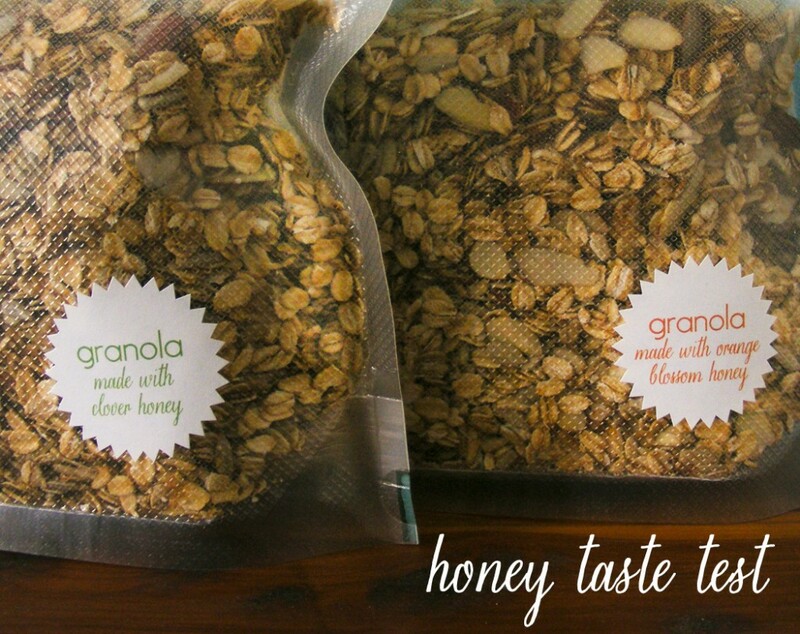 every now and then my aunt asks me to send her granola. the last couple of batches were a little too sweet and the only thing i can think that might be different is the type of honey used. so i thought i would send her a little honey taste test. we’ll see which is honey is just right – orange blossom or clover.